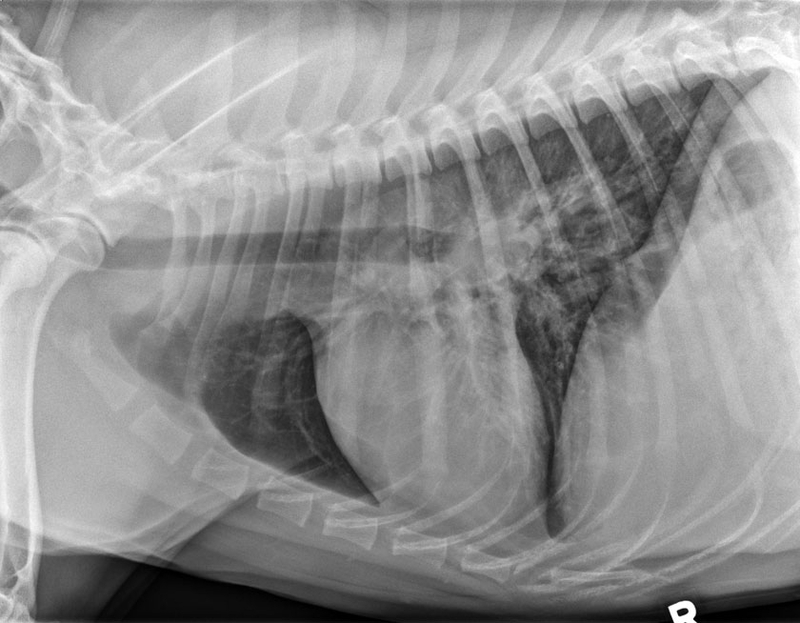 Today’s case is a 9-month-old MN Golden Retriever with anorexia, lethargy, gagging, and occasional coughing and vomiting. What are your differential diagnoses? There is a diffuse, patchy bronchointerstitial pattern throughout the lungs, with an increased focus in the left caudal lung lobe. The bronchial pattern is particularly visible on the lateral projections superimposed on the diaphragm and on the v/d projection. There is also an increased soft tissue opacity in dorsal to the carina on the lateral projections which is depressing the principal bronchi. 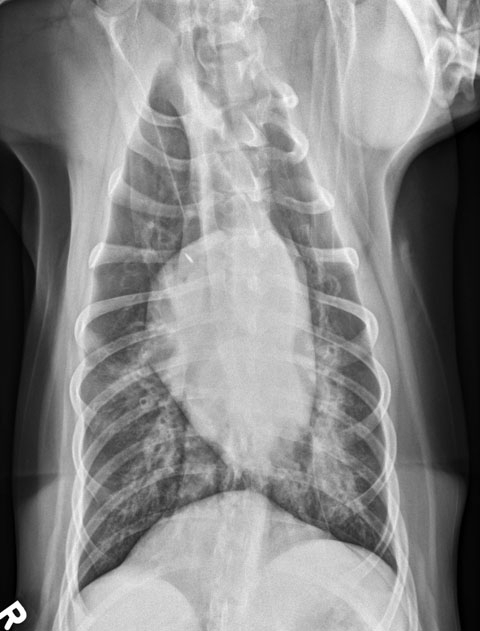 This mass is displacing the principal bronchi laterally on the v/d projection and likely represents hilar lymphadenopathy. Roudebush P. Mycotic pneumonias. 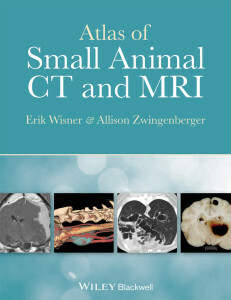 Vet Clin North Am Small Anim Pract 1985;15:949-969. Johnson LR, Herrgesell EJ, Davidson AP, et al. 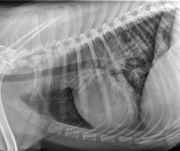 Clinical, clinicopathologic, and radiographic findings in dogs with coccidioidomycosis: 24 cases (1995-2000). J Am Vet Med Assoc 2003;222:461-466.